Summary: Temporary sheet piling and associated temporary bracing works to facilitate construction of a two-storey basement. 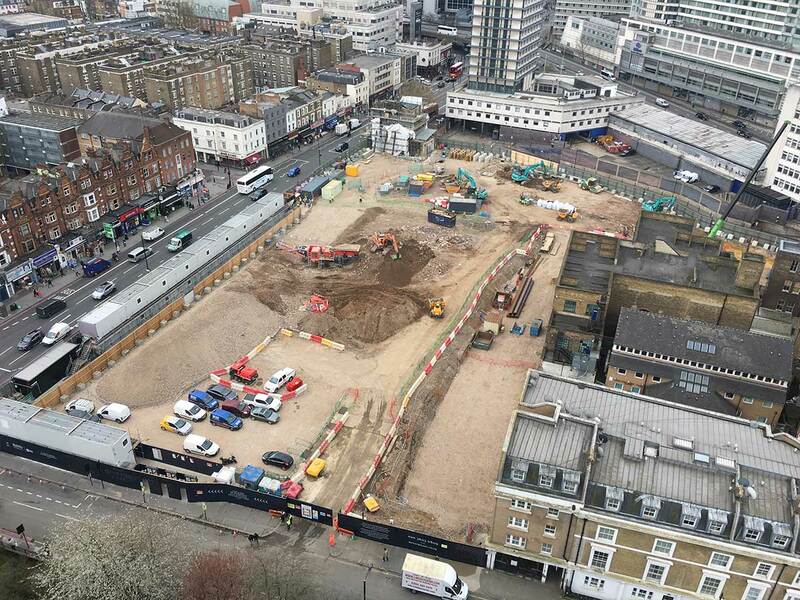 The U.K.s leading sheet piling contractors have recently completed sheet piling and associated temporary bracing works to facilitate construction of a two-storey basement on the luxury West End Gate development for Berkeley Group. West End Gate is one of London’s most prestigious mixed used developments being located between Paddington and Marylebone. West Mark is the tallest of the building within the development which will provide 542no apartments across five buildings. 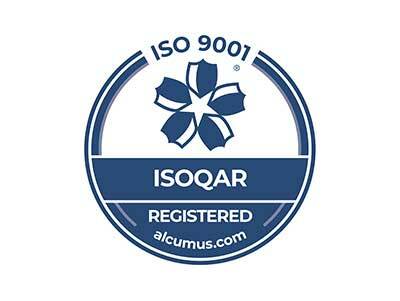 Designed by renowned architects Squire & Partners, West Mark aims to make a statement. Along with beautifully water features and landscaping it offers several facilities such as concierge, gym, swimming pool and private cinema. Residents will benefit from the unique location placed between Hyde Park and Regents Park. The development also provides fantastic transport links being located only a minute from Edgeware Road Station and a short walk from Paddington Station. A short walk down Edgeware Road will take you to Marble Arch and Oxford Street. 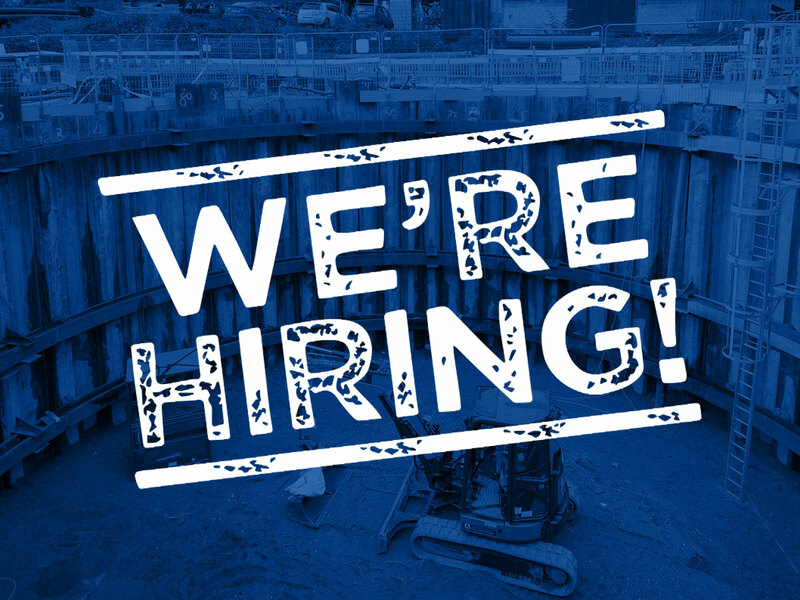 Sheet Piling (UK) Ltd were involved in Early Contractor Involvement with Berkeley Group and the Consulting Engineer (WSP) to provide a temporary but sacrificial propped basement to facilitate construction of a two-storey basement. One of the major issues to be considered on the scheme was the proximity of the existing occupied buildings which applied a surcharge loading to the steel sheet piles of 170kN/m. 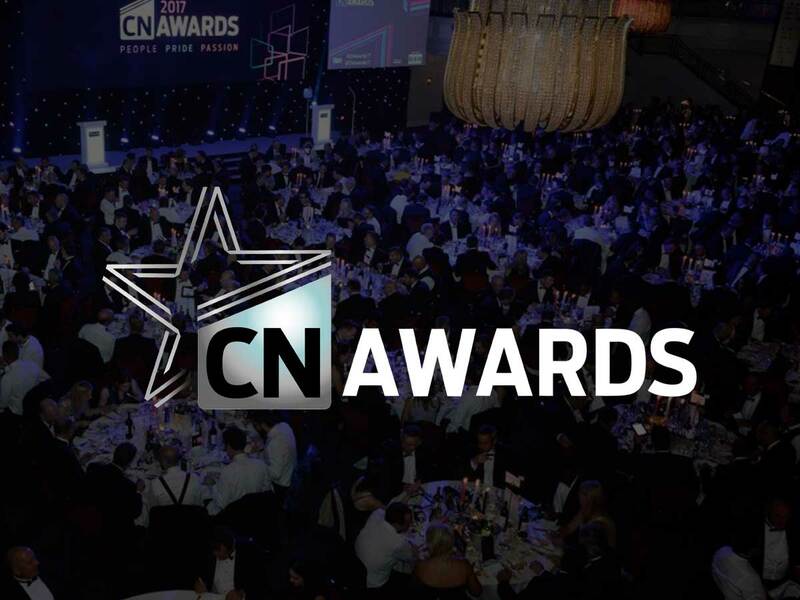 The site was bounded by roads on the remaining three elevations and consequently compliance with an Approval in Principal Document agreed with the Westminster City Council was considered during the design process. In total 798no Arcelor Mittal GU27 sheet piles were installed over an eight week programme period with installation works commencing in March 2017. 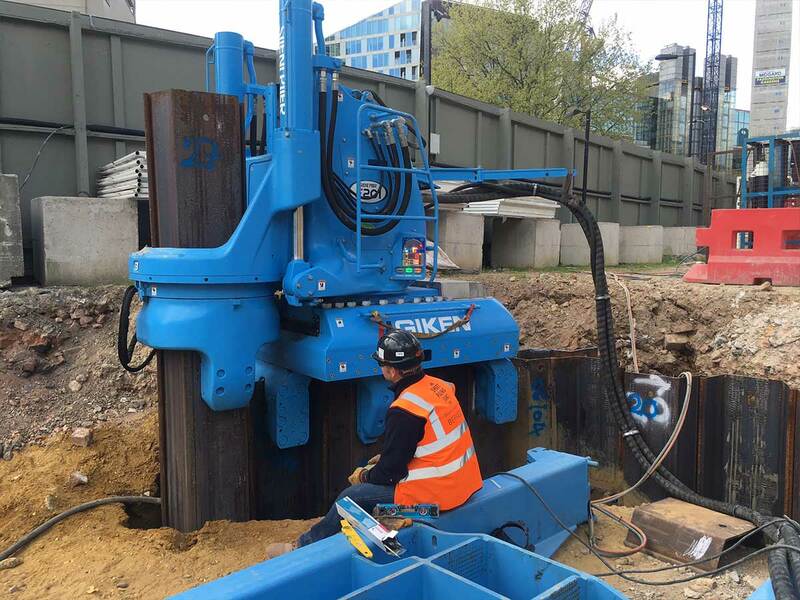 To comply with the strict environmental restrictions on the site, the temporary sheet piles were installed using two Giken F201 Pile Press machines. These machines allow Silent & Vibration less sheet pile installation in the most sensitive inner-city construction sites. The prevailing ground conditions onsite where Made Ground overlying River Terrace Gravels overlying London Clay. 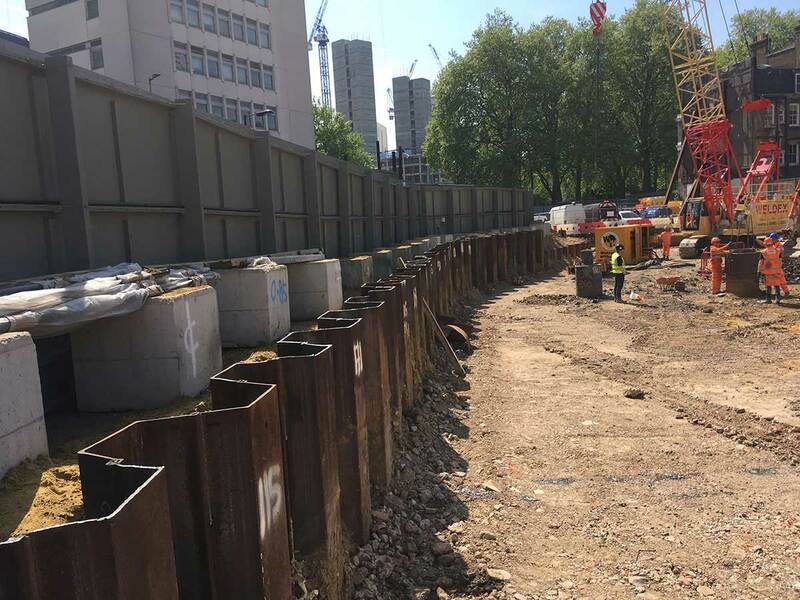 To avoid an excessive pressure bulb forming at the sheet pile toe when pressing the sheet pile through the granular River Terrace Gravels, the pile line was preaugered in advance to the top of the London Clay Strata. Adjacent to the substantial Party Walls adjoining one long elevation of the site, the preaugering was carried out in a sequential manner nominally in front of the sheet pile installation and in accordance with the Party Wall Award. 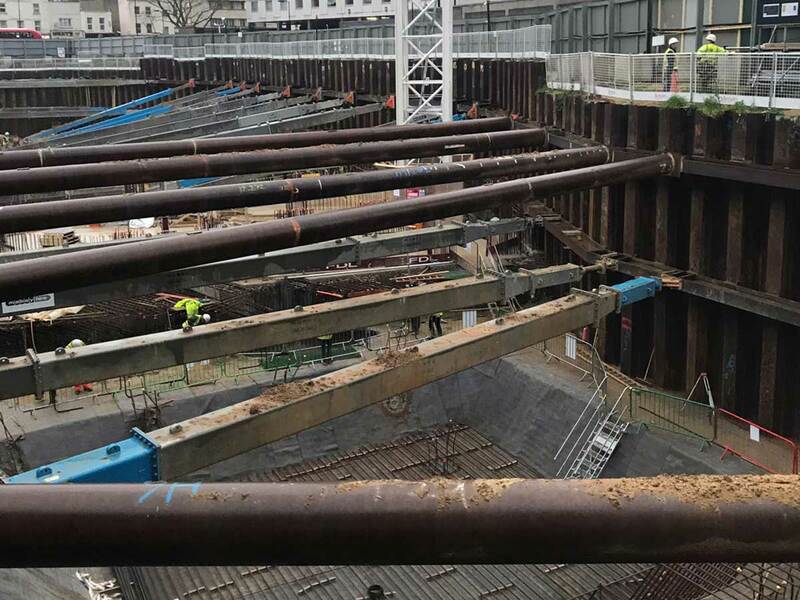 Following successful installation of the steel sheet piles on programme approximately 250Te of steelwork waling beam and horizontal tubular struts was installed within the basement footprint to provide stability and maintain deflection units during excavation works. Due to the excavation depth and requirement to limit deflections due to the surrounding third-party assets the design required two levels of temporary propping to the majority of the basement perimeter. 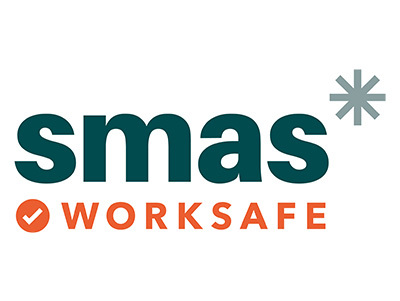 To suit the construction sequence for the basement works the low-level steelwork bracing was ‘Free Issued’ to the substructure contractor to allow installation in a progressive manner to suit the build programme and in accordance with the approved design. All temporary sheet piling works were complete in September 2017 to the satisfaction of the client and the Design Team.